A national survey conducted by AlphaWise and quoted by Morgan Stanley, states that enthusiasm for UK free-to-view digital service YouView has tumbled. “The proportion of consumers indicating that they are very/somewhat likely to adopt YouView has fallen from 14 per cent to 9 per cent since May,” says AlphaWise. 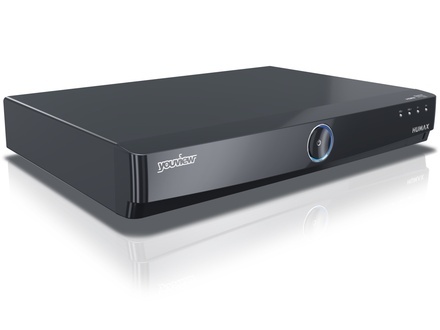 AlphaWise concludes that they continue to regard YouView as posing a limited threat to BSkyB’s customer base. Looking at the overall difference in intentions between May 2013 and Sept 2013, then the “very likely” to switch has fallen from just 3 per cent of respondents to 2 per cent. The “somewhat likely” category falls from 11 per cent to 7 per cent, while the “very unlikely” rose from 36 per cent to 38 per cent. AlphaWise had 3,559 respondents participate in the survey which took place from Sept 6-20. To qualify for the survey, respondents had to have a TV set and broadband internet connection at home. The survey sample is representative of the UK population in terms of gender, age, region and income.